Maximize your momentum, power and energy with this simple drill. 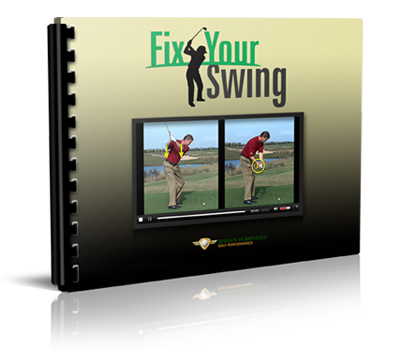 Most golfers suffer from a poor weight transfer on the downswing. The average right-hander stays on the right foot too long, causing the right shoulder to move outward. The result is poor contact and a loss of distance and accuracy. 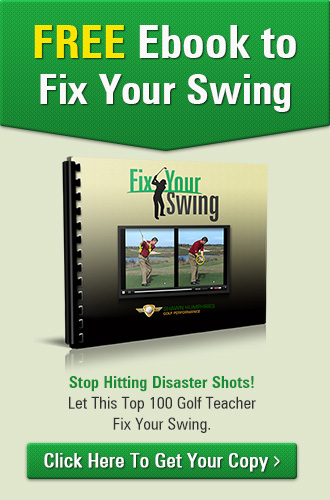 Your first goal should be to complete the backswing. Then you should start down with a slide-turn of your hips as your weight moves to your left foot. You might feel that your right side is taking over and throwing the club at the ball. 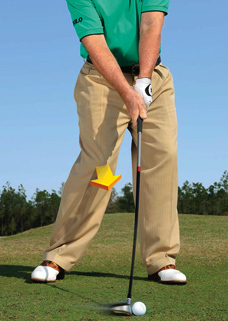 That’s OK as long as your weight is shifting toward the target and your left side is leading. I hit the heck out of the ball with my right hand. You need to use your own discretion when performing these exercises. If one of these knee strengthening exercises feels weird or maybe even causes pain then just skip that exercise. You can try it again after working on the other exercises for a couple of weeks. The important thing is to listen to your body, to challenge it, but not to overstress it. That being said, performing 10 repetitions of a given exercise per day is way superior to performing 70 repetitions of that exercise once a week. Frequency is a lot more important that intensity with these kinds of drills. Practice these movements every day, if you can even two or three times per day, for the quickest results. Listen to your body for information on how many repetitions you should do. Remember: challenging, but not overstressing.